Lions and tigers and... Merlot? Oh, my! We’ve been enjoying our recent run of Coppola wines and the response from our Operatives has been truly overwhelming. 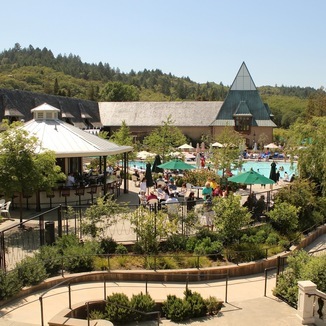 Coppola wines are in super high demand and we’re thrilled to be back in partnership with the winery. 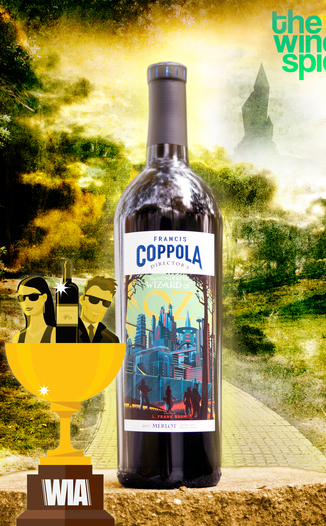 Agent Red, a fan of Coppola wines and Coppola films, is also super happy to be working with Coppola again. And the Lovefest continues with today’s budget-friendly, food-fabulous selection! 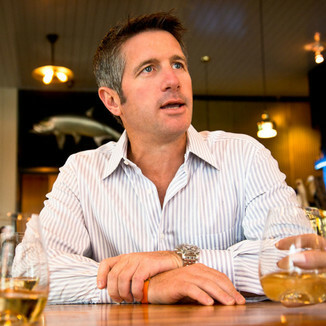 I’ll get you my pretty, and your delicious Merlot, too! 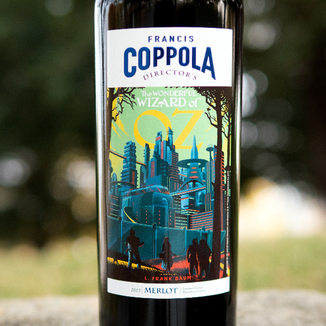 Today’s wine behind the curtain is the juicy, fun, Francis Ford Coppola Winery 2015 Wonderful Wizard of Oz Merlot which has won just about as many awards as the movie it honors. Among the numerous awards is the prestigious 94 pt., Best in Class award from the 2017 Los Angeles Int’l Wine & Spirits Competition. A vivid technicolor display of ruby (to match slippers!) shimmers as you pour this wine in your glass. We’re definitely not in Kansas anymore. Alexander Valley’s steep, sunny hills, produce scintillating notes of dusty bramble, black currant, cherry compote, cardamom black tea, and leather. Take a sip and you’re treated to rich mocha, plum, cherry, and dark chocolate. The spice profile provides a wicked kick. The bright acidity gives it a lift that will sweep you off your feet and carry you away, eventually dropping you down in a curious land of supple tannin and wonder. By the end of the journey, you’ll realize that you had everything that you really needed all along: This wine in your glass. A vivid technicolor display of ruby (to match slippers!) shimmers as you pour this wine in your glass. We’re definitely not in Kansas anymore. Dusty bramble, black currant, cherry compote, cardamom black tea, and leather. Mocha, plum, cherry, and dark chocolate. The spice profile provides a wicked kick. Bright acidity gives it a lift, carrying you away, eventually dropping you down in a curious land of supple tannin and wonder. By the end of the journey, you’ll realize that you had everything that you really needed all along: This wine in your glass.